Getting your collectibles business set up can often be a long drawn out process requiring continual meetings with bank managers, business managers, economic development, suppliers, advertisers and more. Although it can be time-consuming and slightly draining at times, it’s still very important to get all of your affairs in order before you open, so that it’s easier to keep track of them from the offset. One of the most important is setting up a business account for your business and there are a variety of things to keep in mind when doing this. 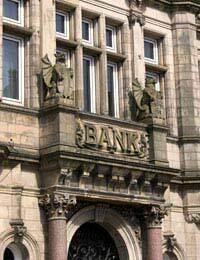 One of the initial problems you’ll face when setting up business banking, is deciding which bank to go with. Many individuals will simply go with the bank they have their personal account with and although this may seem like an easy choice, it can often be the wrong one. If you don’t look around to see what is on offer, you may end up paying more than you need to in service fees and other business related fees. If you are determined to stay with the bank you use for your personal banking, ask to speak to their dedicated banking manager and explain that you’re a loyal customer who wants to keep your business within the bank. They may consider offering you some deals to match other establishments and you could save some money in the long-term by taking this approach. The positive side of staying with the bank you already use is that it is most likely to be a local bank and thus you’ll have easy access to it. You’ll already be familiar with the staff there and in general how they work, so it shouldn’t be too difficult to set up an account there for your business. What you’re looking for with regards to the above is to see just what charges are associated with them. Many banks will now offer all of the above services free forever, whereas some will only offer them free for a certain period of time. The Abbey National, is one such institution that offers all of the above for free forever and you can generally find an Abbey National in most cities. Some banks such as NatWest offer a free 2 year business banking facility for startup businesses and they also have specialist business bankers in all of their branches. Large companies such as HSBC offer tailored business accounts dependent on your annual turnover and if you’re a small business taking under 500,000 a year, you can open an account with up to 18 months free business banking and the ability to use online and text message banking. This can be handy when you simply can’t make it to a branch and there are a variety of other banking institutions that offer similar services. The aforementioned banks are by no means comprehensive and it’s really worthwhile searching around to get something that suits your individual needs. What Type of Business Account do you Need? If you’ve full considered and researched every above, you’ll hopefully conclude on a bank that suits your needs best and can start developing a good business relationship with them.